Your trading partner requests an important file, and you need to share it to a folder in Dropbox. Or maybe you have contacts or billing information you need to update in Salesforce—and you want to do it automatically. 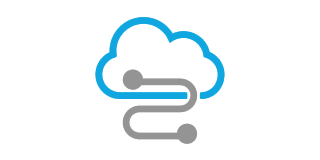 For all these things and more, we offer Cloud Connectors, a feature of our secure managed file transfer solution that lets you easily integrate with the external cloud and web apps you use every day. 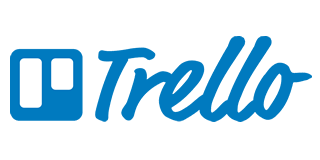 Cloud Connectors, also known as cloud integrations, are built-in web and cloud application integrations that connect to your GoAnywhere MFT projects and workflows. 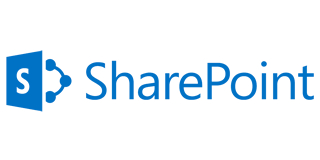 We offer out-of-the-box connectors for popular services including Salesforce, SharePoint, Microsoft Dynamics 365, Box, and Dropbox. How do Cloud Connectors Work? Once a Cloud Connector is installed, you can configure the connection properties as a GoAnywhere Resource. With this resource, you only need to specify the connection once before being able to seamlessly reuse it in any of your workflows and cloud file transfers. Your Cloud Connector definition contains all the actions required to communicate with cloud applications. In GoAnywhere, these actions appear as elements located under the Cloud Connector in the GoAnywhere Project Designer. Elements can be incorporated into your workflows alongside other project tasks. GoAnywhere supports a limitless number of cloud application integrations, so you can automate your processes between multiple web and cloud services at once. Finding new cloud application integrations for your environment is a breeze! With GoAnywhere MFT’s Cloud Connector Marketplace, users have access to many of the industry’s most popular APIs, including Jenkins, JIRA, Trello, Zendesk, and Google Cloud Storage. Are you a current GoAnywhere customer? 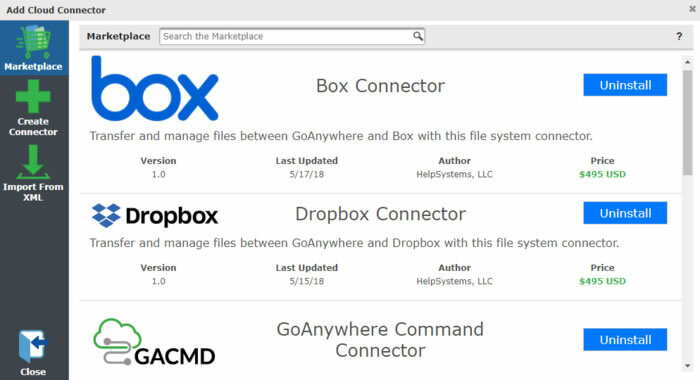 To access the Cloud Connector Marketplace, log into your admin interface in GoAnywhere, then navigate to System > Cloud Connectors and click "Add Connector." Discover how GoAnywhere’s cloud application integrations can streamline connectivity with the apps you use every day.